In October, TC Electronic lowers the price by more than 50% of the MDW Hi-Res EQ algorithm for the System 6000. TC Electronic is at IBC 2014 where they are debuting a new audio loudness normalization norm for its DB6 broadcast processor. TC Electronic adds to its System 6000 MKII a new multichannel reverb plug-in that can support systems of up to 62.2 surround channels. 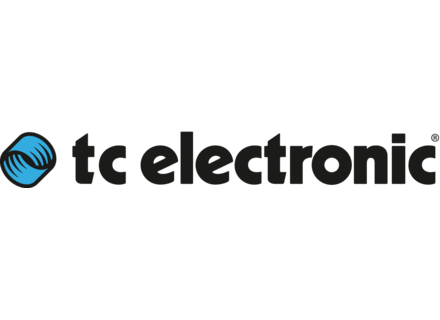 TC Electronic introduced at AES an update for its System 6000 mkII processor with new algorithms and presets. TC Electronic will add in april the DB6 model to their broadcast loudness processor series. The new Live Aid license is designed to allow you to comply with loudness based broadcast standards. The 3.40 upgrade includes a new Advanced Loudness Correction processor, ALC6, and LKFS reading for the Radar Loudness Meter, LM6. TC’s P2 5-band loudness controller and limiter becomes compliant with ITU BS.1770-2, EBU R128, ATSC A/85 and TR-B32. New software 3.20 is released to all users of DB4 and DB8, as well as for users of new MKII units.